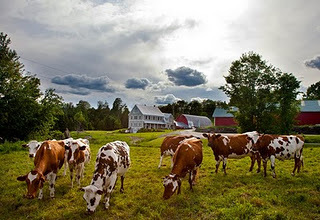 Located in Vermont, the origins of Cabot Cooperative Creamery date back to the early part of the 20th century, when a group of 94 dairy farmers formed the co-operative in order to turn excess milk into butter and sell it throughout New England. Cabot Clothbound Cheddar is the result of a highly successful collaboration between cheesemakers at Cabot's Vermont Creamery, and The Cellars at Jasper Hill in Vermont. 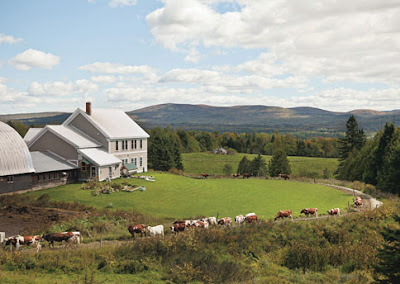 The two businesses are vastly different in terms of the scale and type of production, as Cabot is one of the largest cheese producers in Vermont, whereas Jasper Hill is one of the smallest. Equally, Cabot's aging facilities and expertise are not suited to maturing cloth wrapped cheddar and Jasper Hill specializes in working with this type of cheese. It's a collaboration that has proved very beneficial to both companies. Every three months, Cabot Creamery makes 60 cloth wrapped wheels of cheddar and then sends them to Jasper Hill where they are carefully aged in their caves so that it releases moisture and develops a deep concentration of flavor. Matured for a minimum of 10 months, flavors of the Cabot cloth wrapped are of butterscotch and caramel and savory vegetal notes, accompanied by a pronounced tang. The texture is smooth and dense and slightly brittle, with a pale straw-colored intertior paste. The end result is a rich, buttery English-style cheddar with notes of caramel and toasted nuts. Enjoy it with a dab of apple cider jelly and nice brown ale.